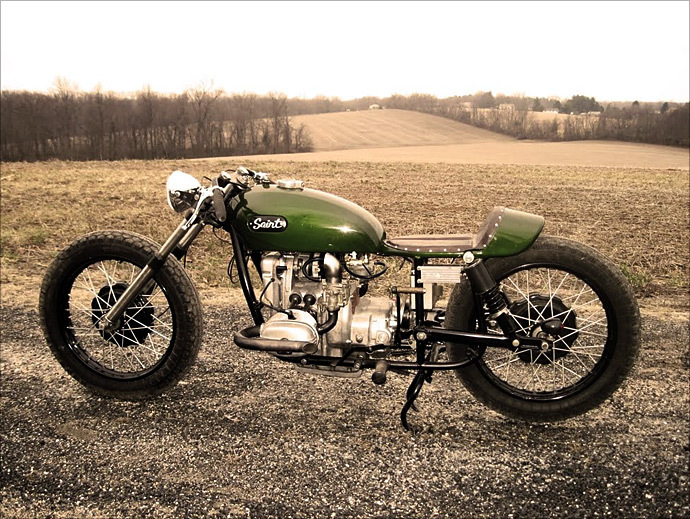 In many ways, creating a custom bike is not dissimilar to having kids. You put all your time, effort, and money into them. You pay too much attention to them. But mostly you just lay awake at night worrying if they’ll turn out OK. And then you meet the parents that give their kids names like ‘Jazzy’ and ‘Zealand,’ pull them out of school and dress them up in day-glo pantaloons. 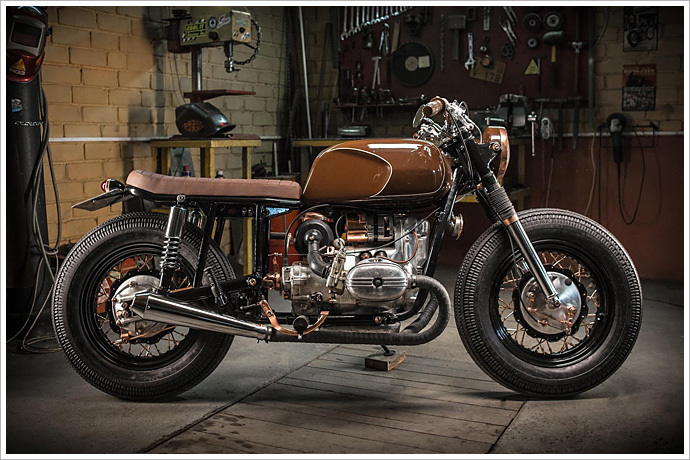 Similarly, some bike builders don’t start with plans to build a safe gun metal grey Yamaha SR400, but instead pick the weirdest bike possible and then decide to paint it sludge brown. Doomed to fail, you’d assume. But you’d be assuming wrong. Meet the latest offspring from Kiev’s DoZer Garage, their inexplicably cool Ural 650 bobber.